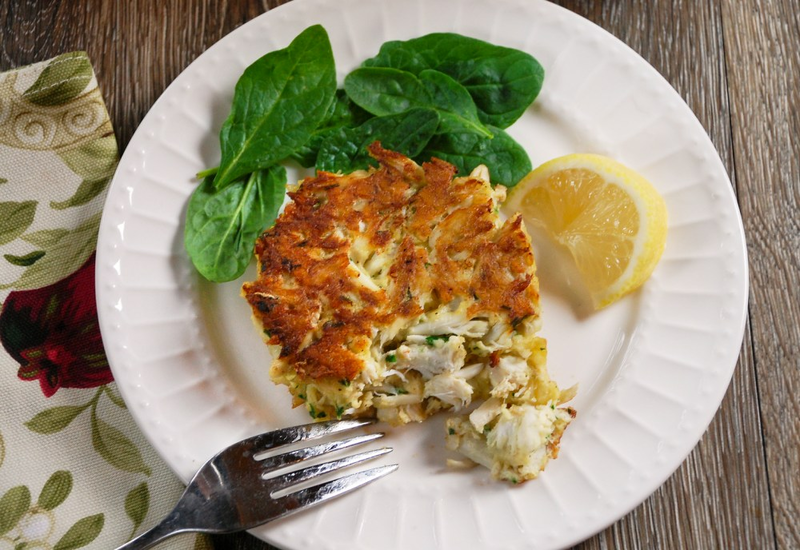 Like the best crab cake recipes, this one lets the sweet crab flavor shine through, using just a few basic ingredients. Jumbo lump crab meat is combined with an egg, mayonnaise, Dijon mustard, fresh parsley, Worcestershire sauce, and crushed saltine crackers. The crab cakes are fried in a little bit of butter and served with a squeeze of fresh lemon. Pair with a glass of white wine or your favorite cocktail for a happy hour treat! Refrigerating the prepared crab cake patties serves two functions. First, it allows the flavors to combine before cooking. Also, it helps bind the crab cakes together so they don't fall apart while frying. Per Serving: 323 calories; 22g fat; 8.3g carbohydrates; 23g protein; 185mg cholesterol; 819mg sodium. This crab cakes were pretty good. I always usually season mine with seafood seasoning, like Old Bay, so I was missing that a little from this recipe, but nonetheless they were delicious. Just goes to show that it's good to try new things. The saltine crackers also worked wonders, that was new for me too. These were really good crab cakes. If you've never made them before, this is a good recipe to start with. These cakes held together nicely, didn't fall apart like some others do.